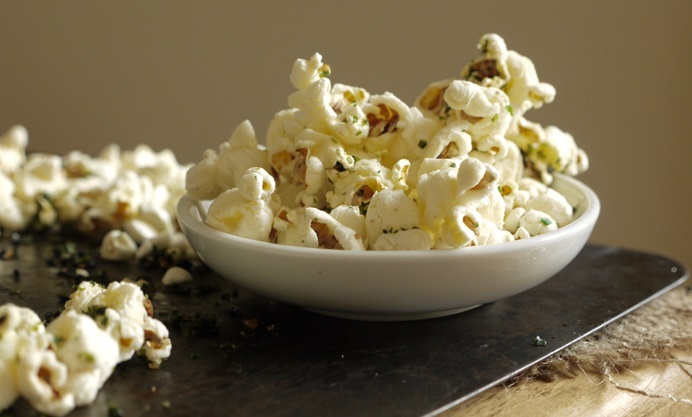 Add a hit of umami deliciousness to your popcorn with a sprinkle of green nori – a variety of seaweed with a wonderful salty flavour. 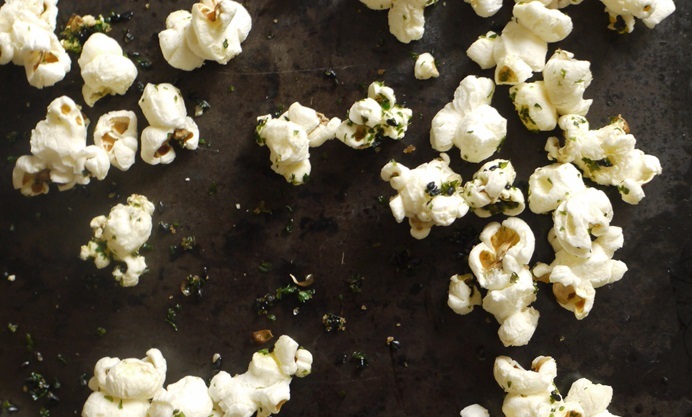 If preparing this seaweed popcorn recipe for vegans or those with a lactose intolerance, be sure to omit the butter, which is added for an extra rich finish. Whenever I visit the cinema, I ask for a mixture of sweet and salty popcorn in one big box. Here that classic combo gains an extra depth of flavour from umami-rich nori and toasted sesame seeds, while soft brown sugar lends the popcorn a sweetness not dissimilar to that of the crispy seaweed you can get in Chinese restaurants. 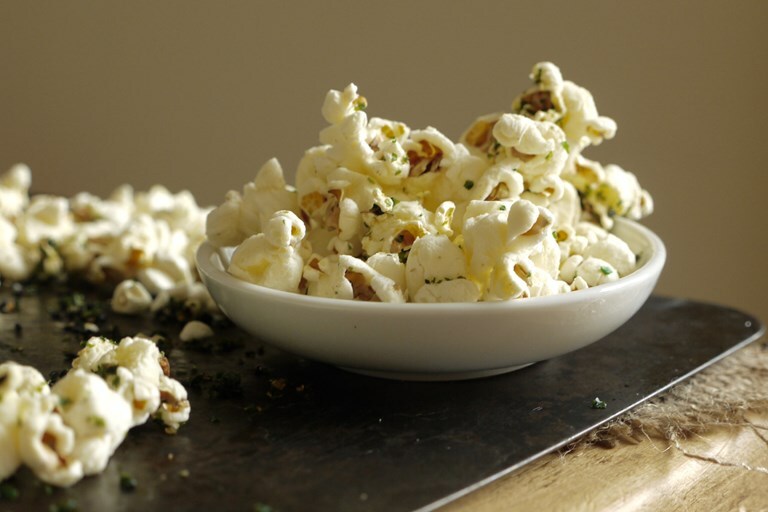 The addition of melted butter makes this a slightly less virtuous snack but it is particularly delicious, with the added bonus of helping the seasoning to coat each piece of popped corn. Omit the butter, if you prefer.